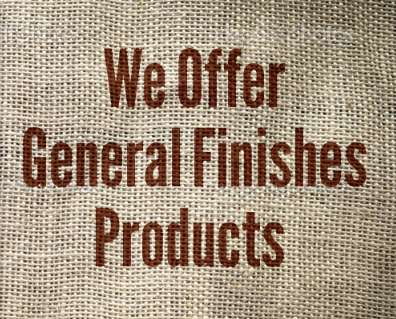 Anchorage re:MADE is proud to carry General Finishes milk paint; while it is an often requested item, many people have not heard of it. Milk paint has a long history being used for decoration in early American households. While some other types of paints were also used in the time period, milk paint was also quite popular because it has such rich colors and a velvety finish. It was fairly easy to make from a combination of milk, lime, pigments, and sometimes borax is added to the mix. Because it contains milk, however, traditional milk paint spoils quickly, usually within a day or so as one who has ever left a glass of milk out on a warm day can imagine. It waned in popularity because of this when other commercial paints came on the market. Milk paint is making a comeback, however. It is a historically accurate medium for refinishing furniture and this combined with its beautiful aesthetic makes it profoundly attractive. Right now, there are two different kinds of milk paint on the market. The first kind is purchased powdered and requires mixing; it contains real milk and different manufacturers have their own recipes. This kind still falls victim to the same shortcomings that all historical milk paint has: it contains milk so it spoils quickly. It is also a bit tricky to work with since it really is dependent on a person's knowledge and skill level when it comes to refinishing since the do-it-yourselfer is responsible for mixing the paint and bringing it to the proper consistency and applying it fairly quickly hence it is not as forgiving as the second type of milk paint today. This type is the kind Anchorage re:MADE carries and recommends is made by General Finishes. It comes already premixed and is not prone to spoiling as it does not contain any actual milk in the mixture. Instead it is made out of a heavily mineral base and thus does not require the added care and refrigeration the first kind does. It is incredibly easy to apply and quick to work with making projects a breeze. 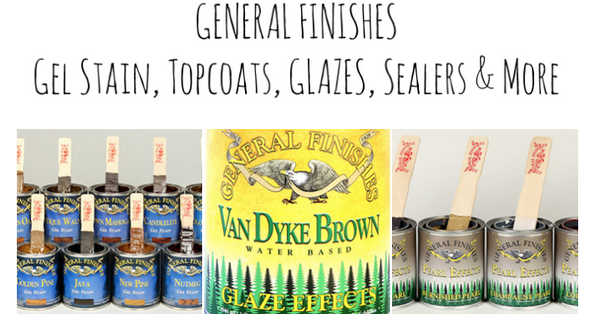 General Finishes milk paint is extremely versatile and is equally perfect for the novice to the master refinisher. It is incredibly forgiving because it is self-leveling, meaning the stress of obtaining a nice smooth painted finish is minimal, even more so than the more commonly known chalk paint. The best part about working with milk paint is the simple fact that in the refinishing process, the hassles of stripping off the old finish with chemicals or sanding is completely unnecessary. The mineral base allows it to stick to pretty much anything, including laminate. It is incredibly easy to use and gives it a beautiful look. Traditional milk paint containing actual milk tends to look very shabby as it is more fragile and flakes off often giving it a more weathered look. General Finishes milk paint does not do this and for those who want a distressed finish, it is easily achieved with a wet wash cloth; simply wipe away a little bit of the paint in the desired distressed areas as the milk paint is drying. It is far easier than sanding and is far more forgiving of mistakes. The General Finishes milk paint that is carried by Anchorage re:MADE is very hardy and is even suitable for use on cabinetry making the beautiful trend of painted kitchen cabinets a breeze. It is recommended for extremely high traffic areas to use a top coat, depending on the use, otherwise milk paint is often fine on its own as per manufacturer instructions. A topcoat can also be used for a purely aesthetic purpose since it is possible to make the finish more glossy in this way. Some times people balk at the price given that it costs a bit more than conventional paint, but if the cost is broken down as a whole, it is usually far more economical. Since conventional paints require the removal of the old finish or, at very best, priming, more supplies and time are required from standing to stripping to priming. Laminate is considered one of the most difficult things to paint over and many methods have been devised, but these all include sanding and priming to varying degrees and often the finish still does not come out as desired. The mineral base used in the commercial milk paint adheres beautifully and makes any piece of furniture paintable. It saves vast amounts of time making projects that were outside the skill and scope of the at home do-it-yourselfer doable. 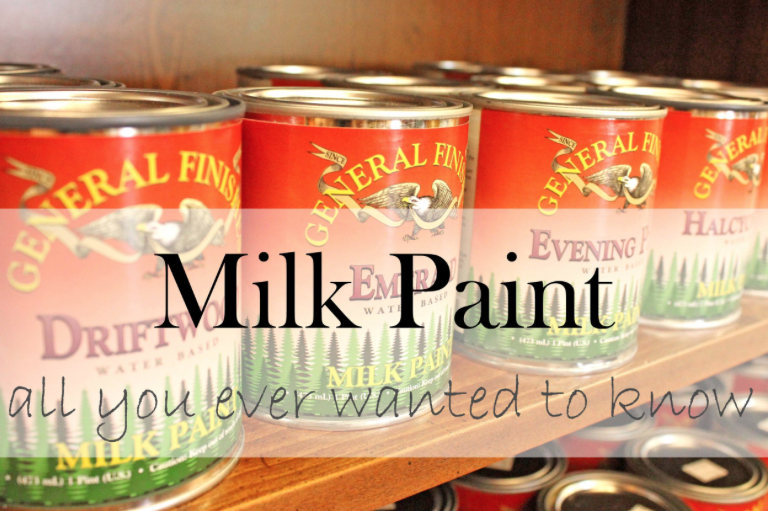 Anchorage re:MADE only carries and sells refinishing products that we use ourselves and General Finishes milk paint truly is value in a can. It is a fantastic way that everybody can join in on the fabulous painted furniture trend and turn a piece they just don't love anymore into something grand. It is a great way to be green and salvage items that would otherwise be thrown away. Milk paint comes pre-tinted in a variety of colors so it is easy to inject some personality into a home's décor in just a couple coats. We'd love to help you with your next project; we can help you find the supplies you need to get started and we'd love to answer any questions for you! As always, we are here to help in any way we can!